I have had the rift HDMI inserted in the GPU's port for over a month, without it bringing an issue up regarding the HDMI. It is now saying that it's not connected. I've tried restarting my app, changing HDMI ports, changing USB ports, however, I can't seem to find the issue. 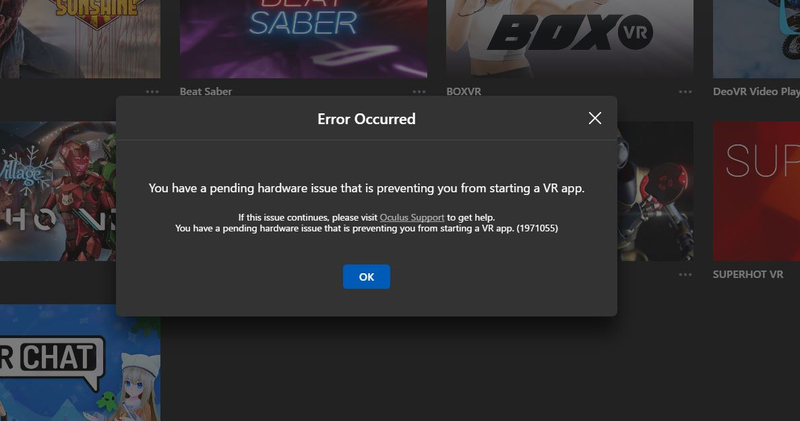 I hope that Oculus can make better software, but in the meantime, I need a way to fix this ASAP. If you need additional information, feel free to ask. Have you tried removing the HDMI cable at the headset end and re-seating it? I had the exact same issue yesterday. Somehow it was fixed but the method wasn't really scientific. I did all the reseatings, reboots and even reinstalled the software. But somehow after I removed the inoperational USB devices from device manager, removed the headset (and tried it partly succesfully with another computer), reconnected and rebooted, the software found the headset again.